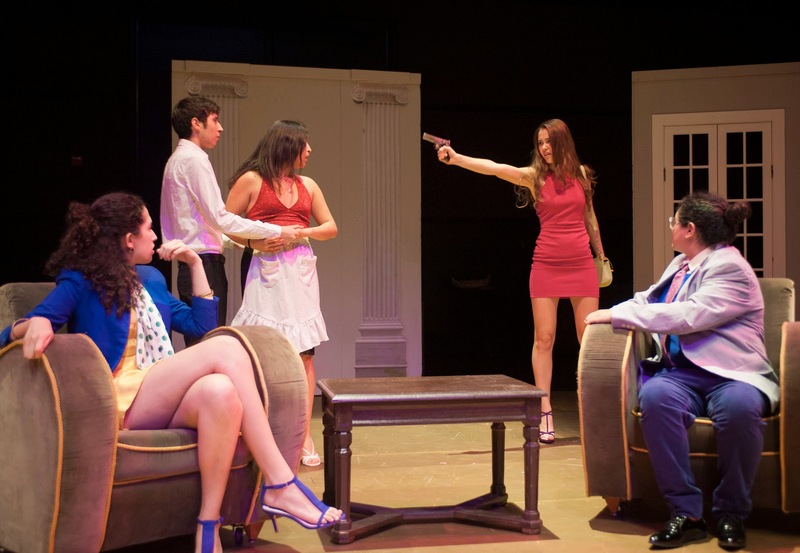 The UCSC Theater Arts Department is unique in the number and quality of opportunities it offers playwriting students to see their work performed and/or read on stage. The playwriting and supervising faculty are very supportive of student playwrights, and available to offer advice and walk playwrights through the process of collaboration, compromise, and editing to see a script be staged. Chautauqua is the annual student play festival produced every Spring Quarter by the Theater Arts Department. Student playwrights can submit scripts for one-act plays up to an hour in performance length during the Winter Quarter. A committee of the student Chautauqua Management team and advising faculty will read and review submitted scripts, and select the festival roster. Most invaluably, once the festival goes into production student playwrights will be seeing their work fully performed on stage for a live audience, and have the opportunity to seek critique from friends, colleagues, and faculty members on their work. Barnstorm is a student-run production company sponsored by the UCSC Theater Arts Department. It operates 1-3 quarters in any given year, and produces mostly student-directed and collaborative work. Student playwrights have previously seen their work produced in Barnstorm in a variety of forms. Scripts have been produced in staged readings, stand-alone or excerpted scenes and other written works have been produced as part of one-night Cabarets, and full-length plays, film and media projects, and other performance or theatrical-based written works have been produced as one-night shows, or full productions. Submissions for Barnstorm productions are accepted towards the end of the quarter preceding the quarter for production. For full or one-night productions, submitting playwrights are encouraged to try to secure a committed director prior to proposal submission. Anyone can submit a proposal to Barnstorm. For current deadlines, and guidelines for submission, please contact the Barnstorm Management team, or check in with the Theater Arts Department Office. In select years, UCSC has been able to offer the Dharma-Grace award to a chosen student playwright, giving them the chance to see their work fully produced as a department show. Dharma-Grace is unique amongst theatrical undergraduate programs in that it not only stages a student written work, but provides for a full-scale production. A playwright can work with the director, designers, and actors - within the discretion of the director - at all stages and levels of rehearsal and production, and gain invaluable insight into the process of transforming an original script into an independent production. For more information on Dharma-Grace, and submissions and deadlines, please contact the Theater Arts Department Office. The UCSC Theater Arts Department and the Theater Arts faculty have strong ties to the major theater companies operating in the Monterey and San Francisco Bay Areas. The support offered by the faculty and department has often allowed UCSC Undergraduate students to secure competitive professional internships. Playwriting students can gain valuable insight into the professional process for a playwright by interning under the Literary or Artistic Management departments of a company. Additionally, interning as a dramaturg or dramaturgy assistant for a professional company can provide valuable insight into the translation of script to production, and at times give a student the opportunity to work on the development of a new play in production. Student playwrights can also find opportunities within the department working as dramaturgs for faculty members. Again, dramaturgy work can either guide a playwright in examining the formation of a theatrical world, or even give them the opportunity to assist in the creation of a new play. Within the UCSC Theater Arts Department, there are numerous faculty members who are also published and working playwrights. The faculty are fully available for consultation, guidance, and support to student playwrights, their education, and independent studies or projects they may pursue.